What is it with you girls and why all the fascination and attraction of the bad guy? Although the initial appeal and excitement of dating the bad boy, can give you a moral and emotional boost, your relationship can also be a emotional roller coaster journey. Because the bad boy types, can also bring you many low moments, heartache and problems to go with the few highs. Although, not all women are looking for the same thing and everybody has their own wants and emotional needs. In most cases a relationship can be for the long term or life so it is important that you choose wisely and you avoid attracting the wrong types of guys, losers or bad boys. What you may want to consider is your own emotional welfare, happiness and quality of life is what matters the most to you. We see it depicted in the films so often. You hear many woman say, that they like the bad boy image and the lure of the bad guy boyfriend stereotype. The reality is though, there is a massive difference between a film and real life reality. It is easy to see the appeal and the reasons why some women are attracting to the bad guy. In the movies and on television the bad guy is usually the all action man, tough guy muscular image who is seen as something a bit different, and he does what he wants. For some woman you can see why they are drawn to this fictional fantasy charactor as it may seem exciting, a challenge, a thrill and a break from the more safer average guy. However, the movies star bad guy asociation, is just a fantasy figure which might appear to offer you a bit of excitement and thrills. But the real life bad guy lifestyle and on off, up and down relationship, is a far cry from what you see in the movies or what is depicted on television. In real life. The bad guy's are often very good at turning on the charm and they are very persuasive with their words and actions. Understandably some woman like the unpredictability and the whirlwind romance. After all, the bad boy, is the ultimate womaniser. He his the master charmer who has perfected the perfect strategy to grab your attention, make you feel attractive and feel good about yourself. They know how to press your buttons, they know how to say the right words and they know how to get what they want, when they want. But very often, they have a kind of double personality and a not so appealing side to them. There is no one stereotype bad boy. They come from all types of social backgrounds and upbrinings. He may be rich and successful, he may be good looking, he may be a rough diamond or come from a rough upbringing or he maybe a beer drinking typical laddish type football fan. For some woman, the bad boys can turn into a bit of an addiction, and just like any other addiction they will bring you a big emotional high which is often followed by a emotional low. When a bad boy takes you on a date, it can be fun and exciting. He might treat you like a princess, wine and dine you and take you to all the nice places, making you feel a million dollars. But, then he either disappears out of your life for a while, he reveals to you another side of him or he finds somebody else. Some of these bad boy types of guys, will come in and out of your life. Although some may commit to you, many won't, because they are more interested in their next conquest. But, if you stop to look beyond the initial physical attraction, excitements and fun. The the reality is, after the honeymoon period is over and the novelty begins to wear off. There can be a downside, and in some cases the fun and excitement is often replaced by a life of possible abuse, uncertainty, being treated bad and cheated on. The unpredictable can soon turn very predictable and the initial positive emotional attachment can turn into negative emotions, situations and outcomes. Although it is not always the case. The bad boys can turn on the charm, but equally they can be controlling and they can turn to anger and aggression, when things aren't going their way. If you have a history of dating the bad boys which has left you nothing but bad memories, then perhaps it's time that you considered giving the good and decent guys a chance. Because you have to ask yourself. Do you want to be treated bad, do you want to be disrespected and do you want to spending evenings in on your own, whilst your partner is out drinking and chasing other women? Living with a bad guy, can lower your self esteem, leave you feeling worthless, stereotype all men as being the same and put you off dating in the future. Some woman may want to avoid the good guys because they aren't ready to commit to a long term relation and they don't want any loving emotional attachment. In the end, you have to decide what type of guy you want, but if you do choose the bad guy, then the chances are it won't last long or it will end in tears. Your first step should be to get out of attracting and falling for the bad boy type. One question that you may consider asking yourself is. What are you looking for in a man and what do you want from a relationship in the long term. If you find yourself being attracted to the wrong type of guys. Ask yourself, what are they going to offer you in the long term? You sometimes have to look at the bigger picture and surely you want somebody who is honest, trustworthy and who is genuinely interested in you, and whom wants to connect with you on a much deeper and emotional level. To begin with, you have to let yourself know that you firmly deserve and expect to be appreciated, respected and treated good. If you already know that you are sick and tired of being treated bad and losing in love. Then you should equally know what you do want, and once you know what you truly want, then you should make it your intention to have it. If you have been going from one bad relationships to another. Then you may need to take a break from dating so you can break the attracting bad boys pattern. This may also involve listening to your inner wisdom and intuition. In most cases, you will instinctively know when the red flags are being waved at you. There is someone good for you out there. However, if you are not ready emotionally to meet the right guy for you, then it can pay for you to wait until your are emotionally ready and you're feeling good about yourself. If you suspect that a guy you're thinking about dating or a guy you're already dating is no good for you, then it might be best to listen to your intuition, rather than following your head. It is so easy to fall into the trap that, this time it will be better, if you deep down have a bad gut feeling about the guy you're about to date. Sometimes you need time to reflect and workout what you really want. The bad boy whirlwind initial romance might be exciting at first, it might make you feel good and but some sparkle into your life. But do you really want to get involved with someone who in the long run does not meet your emotional needs and someone who is not got to give you the respect, affection and love that you really deserve. Sometimes you can move to fast when you meet a new guy. The bad boy may excite you, tell you tales about his action packed life and woe you with his charm and passion. But, how long does it last and is the initial excitement worth all the emotional pain that follows. Very often it is all the emotional attachment, the adrenaline rush, the passion and all the initial love and admiration that is given to you, that you have come to attach to the bad boys, that you crave for. But when it does not last, you go seeking for more and the pattern keeps on repeating on itself. Many woman have, without any awareness of it. Developed a negative emotional attachment to bad guys. One of the reasons for this is because they were abused or let down as a child, very often by someone they loved or trusted. To them, they have only ever experienced bad behavior, unpredictability and a confusing and inconsistent mixture of love and pain. This can make them more likely to attract the type of guy as their abusive or bad behavior loved one or person the trusted and depended on. In many cases. What you have become used to, becomes your normal and what you tend to continue to attract and put up with. Until you start to realize that you deserve better and you can have better, because deep down your worth it. Then the chances are, you won't know that there is always a better option, choice and better road to take. If you find that you're always attracting the wrong guys. Then you might have to take a deep indepth look at yourself and look at. What types of signals and messages are you sending out to guys. This may need do examine, the thoughts you have, your feelings, the things you do and say, your body language, appearance and behavior. What are your perceived conceptions about how you think men should perceive and treat you? How do you think you should come across and how you expect to be treated? 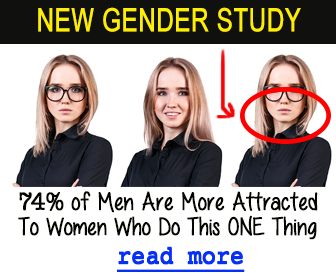 Because how you think about yourself, your personality, your approach to men and your appearance, can all influence the type of guys that you will attract and show interest in you. How you have learned to become emotionally attached to men, based on your past experiences and how you have become to perceive men, can determine what type of men you become attracted to. The bad guy tough guy image, may make you feel safe and secure, but all the time, it is making you feel less secure, less safe, more anxious and unhappy. If you have been unlucky enough in love or you if you are always attracted to the bad boy boyfriend, then you may have some insecurity and self issues that might need addressing. Sometimes when you feel unloved, unworthy or bad about yourself you can tend to attract the bad boy types. If you feel bad about yourself or if you have a low opinion of you, especially if you think that you're not attractive enough or worthy enough or if you suffer with low self esteem. The bad boy types can pick up on your insecurities and you will tend to draw these types of men towards you. The combination of your low self esteem and their charm and persuasiveness, are going to make you their perfect match. The reason for this can be. If you already feel bad about yourself and you think that you're not good or worthy enough of attractive enough or if you feel unloved. Then all of a sudden, the bad boy approaches and showers you with compliments, affection, attention. And the bad boys often have the ability to speak easily and confidently and they are masters at making a woman feel good about themselves. Which will give you a instant boost of self esteem and as sense of worthiness and being loved, that you may have been lacking. Then it is no surprize that the appeal and feel good factor that they bad boy offers, makes you fall for them. Another example is when a woman is insecure about herself. When all of a sudden, this cool and seemingly exciting and interesting bad boy comes along. If you're insecure, then he can make you the girl that gets the cool bad boy. This can help give your self esteem a boost and hide those thoughts and feelings of insecurity for a while. You may think, that you're the envy of all the other girls or you might think that you're the one that can tame the bad boy. How cool would that make you look and feel? Sadly, it rarely turns out that way. Some bad boys have another skill and that is they are very good at manipulating and control. The trouble is. The initial self esteem boost and feel good factor about yourself, is often short lived and when things turn bad. What happens then, your self esteem levels and self confidence takes a hit and you can end up feeling worse about yourself and men than you did before you started dated him. And you can end up generalizing all men as cheats, liars and no good. If you have been brought up in a tough environment or a environment of beer drinking culture types of men. Then this can give you a perception that this in the norm and you can attract similar types of boyfriends. The same applies if you have grown up feeling insecure, unloved aor you have been rejected or led to believe that you wasn't wanted. Because you can carry these feelings of rejection, insecurity, anxiety and not feeling loved with you into your adult life and relationships. If that is your childhood perception and negative experience of love and relationships. Then you can attract the same types of feelings, perceptions and and what you become to feel attracted to when it comes to boyfriend material. If you feel bad or insecure about yourself, then sometimes, the type of guys you attract, will take advantage of this and treat you the same way you treat yourself. The best way to boost yourself esteem is to build it yourself. This should involve. No more criticizing yourself or putting yourself down. Learn to love and accept yourself, for who you are. Do not focus your energy on things that you cannot change about yourself and only work on the things you work on. Begin to take care of yourself and start to put yourself first. Many women are insecure about their looks and their body image. You cannot turn into the beautiful swan, if you keep seeing yourself as the ugly duckling. Looks aren't everything, and not all men are attracted to looks. A nice friendly, kind personality and a warm smile is often enough to make most men go weak at the knees. If you want to feel better about your body. Then tone yourself up or incorporate a fitness routine in your life. When you start to love, accept and appreciate yourself and you start to tell yourself you are good enough, deserving enough and worthy enough. Because you are wonderful, attractive enough, unique and special, and you should start being the true authentic beautiful, talented and unique person you truly are, rather than relying on others to make you feel good about yourself. Make sure you unconditionally love and accept yourself and take good care of yourself. Because, start to feel better about yourself, you will begin to attract the right guy for you. Somebody who wants to be with you for who you are, someone you can trust, someone who is kind, honest and someone who will love, respect and treat you nice and make your life a better more joyful and happy experience. If you have had a history of bad and toxic relationships or you are fed up of being let down by the bad boys and you're ready to find your ideal soulmate, lover and best friend in in one guy. Then Television Millionaire Matchmaker Patti Stanger, who herself admits she spent many wasted years of her life attracting and dating the wrong types of guys and went on to struggle with relationships due to her own tragic and heartbreaking childhood experiences. Has teamed up with America's top hypnotherapist Steve G Jones and start of the hit movie the secret Joe Vitale to create a program called attracting your soul mate. This program will help you heal your past and reprogram your mind to attract the right guy for you. The program is designed to help you break free from the rut of attracting the wrong types of guys and fill your mind with positivity so you attract and meet the right guy for you, allowing you to form a long term happy relationship built on love, respect and kindness. Privacy guaranteed, and unsubscribe whenever you want.